Historians of the First World War have often dismissed the important role of poison gas in the battles of the Western Front. Tim Cook shows that the serious threat of gas did not disappear with the introduction of gas masks. 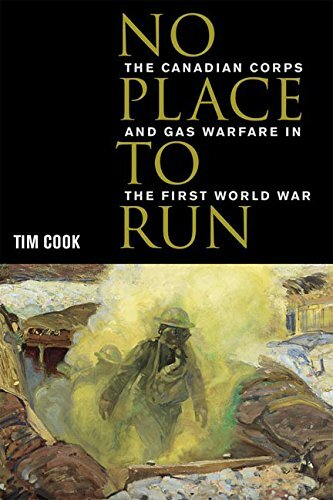 By 1918, gas shells were used by all armies to deluge the battlefield, and those not instructed with a sound anti-gas doctrine left themselves exposed to this new chemical plague.This book provides a challenging re-examination of the function of gas warfare in the First World War, including its important role in delivering victory in the campaign of 1918 and its curious postwar legacy. Personnel of the Royal Canadian Artillery (R.C.A.) plotting ranges for artillery during the assault on the Gothic Line, Italy, ca. 30-31 August 1944.